There are four more days left in 2016-- it's not too late to make your end-of-year gift! 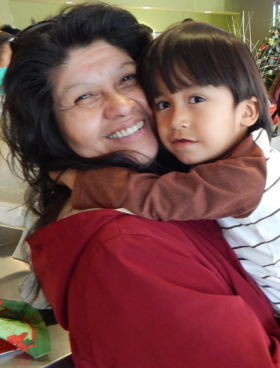 Your gift in support of The Gathering Place is 100% tax-deductible. Without the support of donors, we would not be able to provide any of our life-changing programs and services to our members. Additionally, if you make a gift of $250 or more, you will be eligible to receive the Enterprise Zone Tax credit. This tax credit is a dollar-for-dollar reduction in the amount that you owe when filing taxes with the state of Colorado. If you are interested in taking advantage of this tax credit, please write "Enterprise Zone credit" in the memo line of your check, or contact Liam at liam@tgpdenver.org or 303-996-9067.